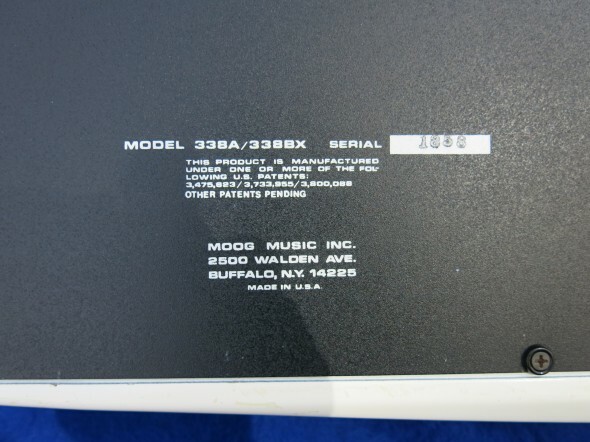 Vintage Moog: Liberation synthesizer spring 2015 raffle! UPDATED 4/27: CONGRATULATIONS to our winner of the Moog Liberation synthesizer, Asaf Sanzer of Natanya, Israel! Big Moog Love to everyone who entered! Your support is endlessly appreciated. The funding raised will help us expand Dr. Bob’s SoundSchool to hundreds more kids this fall! 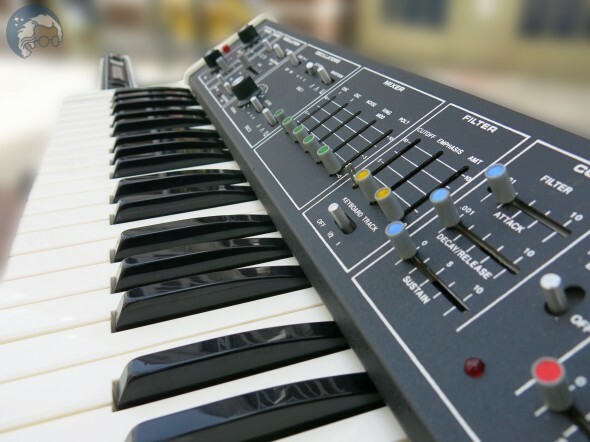 The Bob Moog Foundations raffles receive worldwide attention, and for good reason. 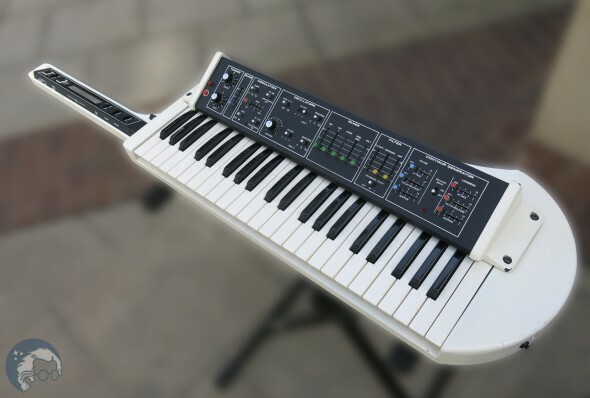 The instruments that we offer are always iconic vintage rarities in excellent condition, coveted by a breadth of collectors and synthesizer enthusiasts. Our spring 2015 raffle is no exception! We are raffling a vintage (ca. 1980) Moog Liberation synthesizer, serial number 1858, in excellent condition as a fundraiser for our education and historic preservation projects. Only 2000 tickets will be sold, making the odds of winning quite good, especially when tickets are purchased in multiples. 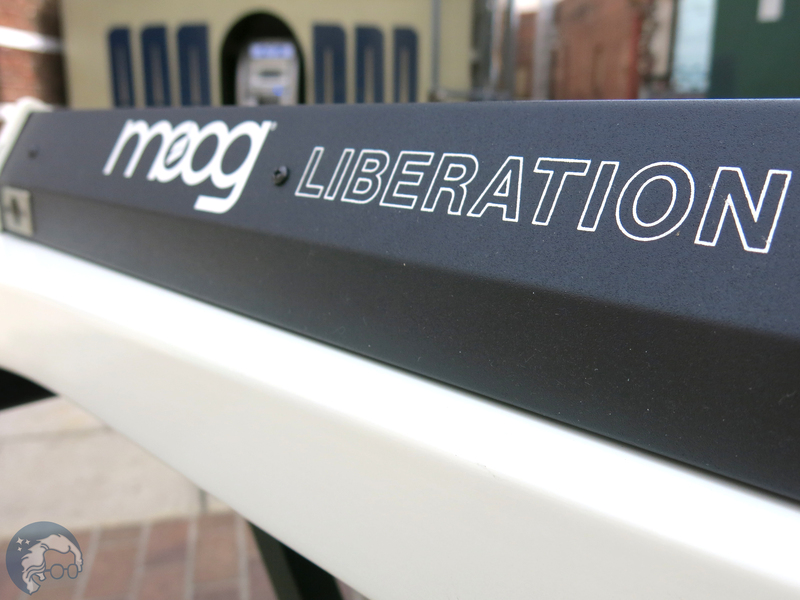 ENTER TO WIN A MOOG LIBERATION! The raffle begins on March 16, 2015 and ends at midnight ET ( 4 a.m. UTC) on April 20, 2015 or when all tickets are sold. The winner will be randomly selected and will be announced on April 24, 2015. The raffle is open internationally. Tickets are $20 each or 6 for $100 and can be purchased through our online store. Make sure to review our rules and regulations prior to entering! 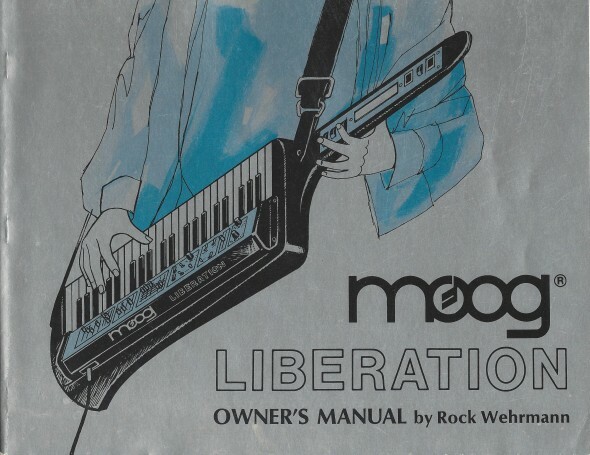 Included in the raffle is a rare original owners manual for the Liberation, written by Rock Wehrmann. 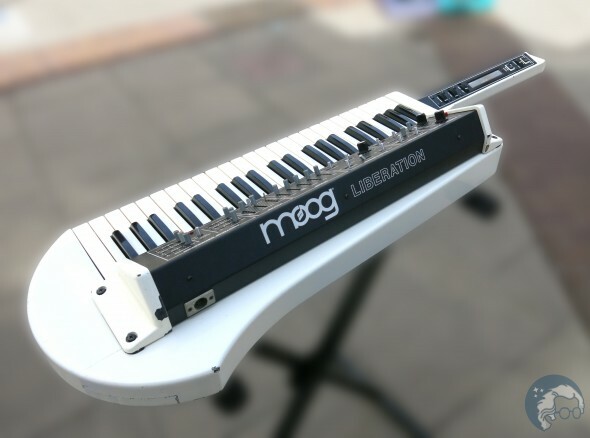 The Moog Liberation is distinctive in its form and function as a keytar, or guitar-shaped synthesizer. It was one of the first of its kind when released in 1980, and gave the musician freedom to move around stage while playing. 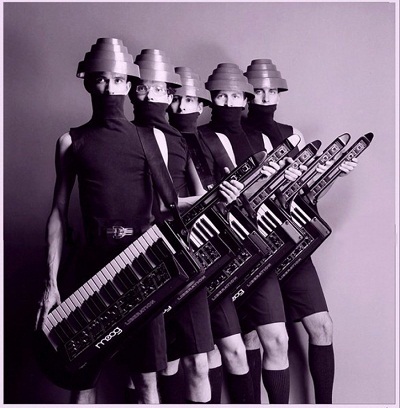 The Liberation was quickly adopted by such bands as Devo, The Human League, Jean-Michel Jarre, Tom Coster of Santana, Herbie Hancock, Spyro Gyra, and more. 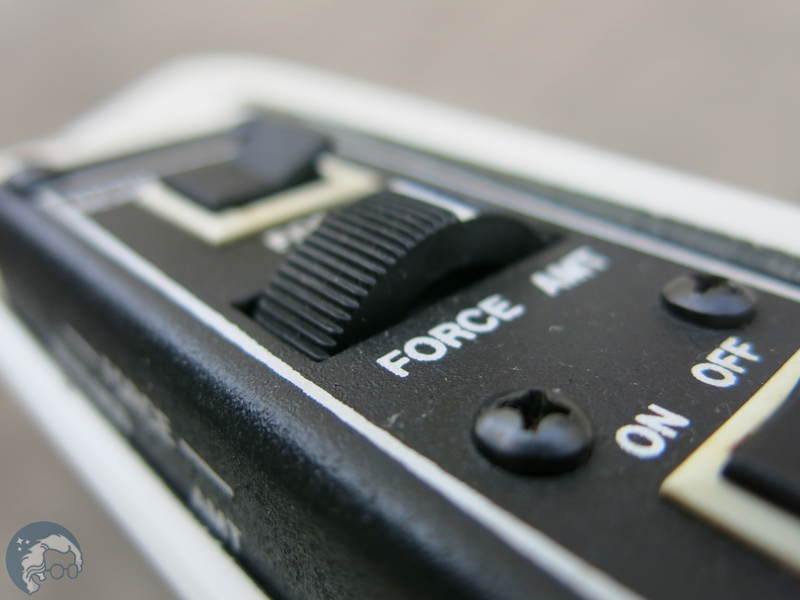 This instrument is in excellent technical condition. 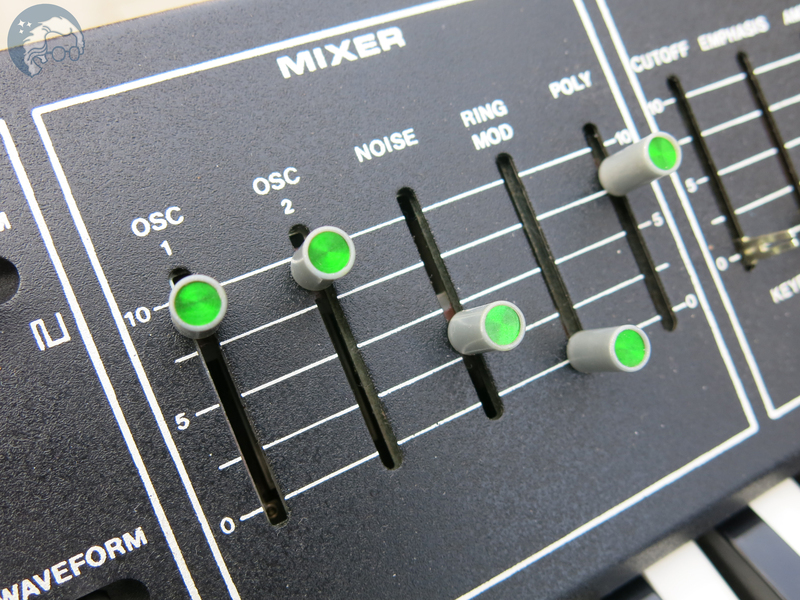 It has been meticulously restored by the highly regarded vintage synth specialists, Tone Tweakers. There are minor exterior flaws comprised mostly of chips in the paint, a badge of its vintage status. The Moog Liberation is a strap-on dual oscillator monophonic/polyphonic analog synthesizer with one voltage controlled 24dB/octave Moog filter (VCF) and one voltage controlled amplifier (VCA). 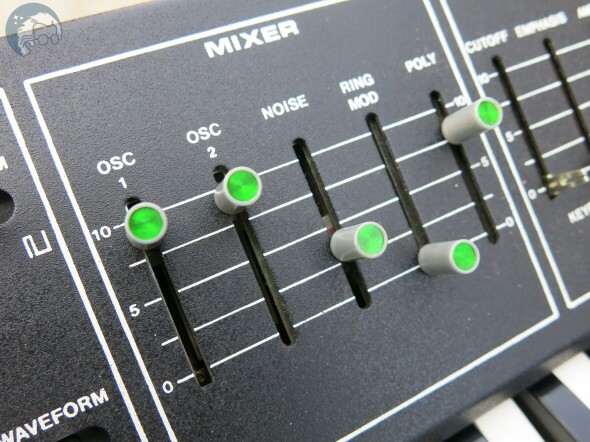 It boasts a polyphonic section, which allows for synth-like chords, a ring modulator, noise generator, syncable VCOs, and a ribbon controller, located in the neck portion of the instrument. It comes with two accessories, the interface/power supply and a 40′ cable. 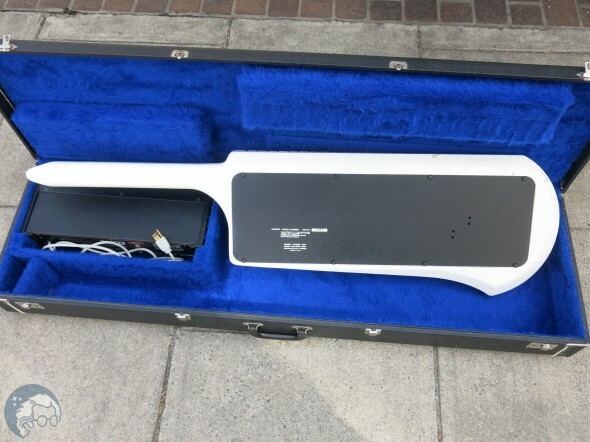 The instrument is in its original case, which is in excellent condition save light exterior wear. 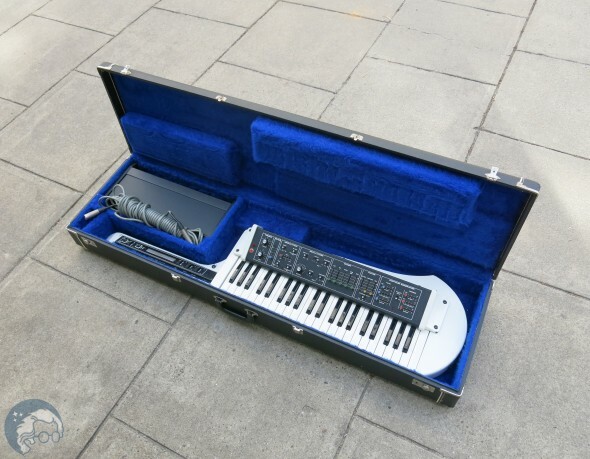 Moog Liberation in original case with accompanying interface/power supply and 40′ cable. Back view of Liberation. Note minor chips in paint. 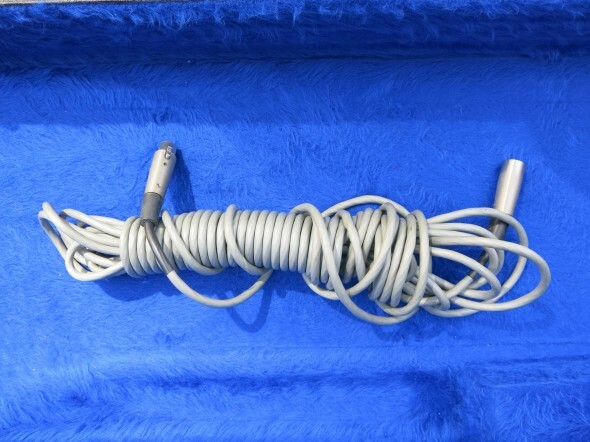 40′ original cable to connect instrument to interface. Two voltage controlled audio oscillators, each with separate three-position rocker switches, waveform selectors, and volume controls. 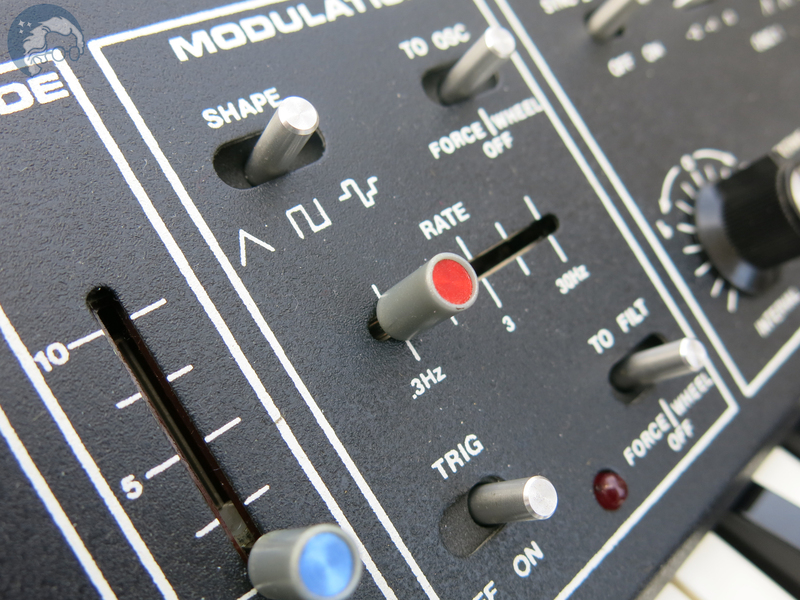 Oscillator two has a separate interval control. (Both oscillators one and two are tuned with Master tune control). Switchable oscillator synchronization. Force control of sync sweep. 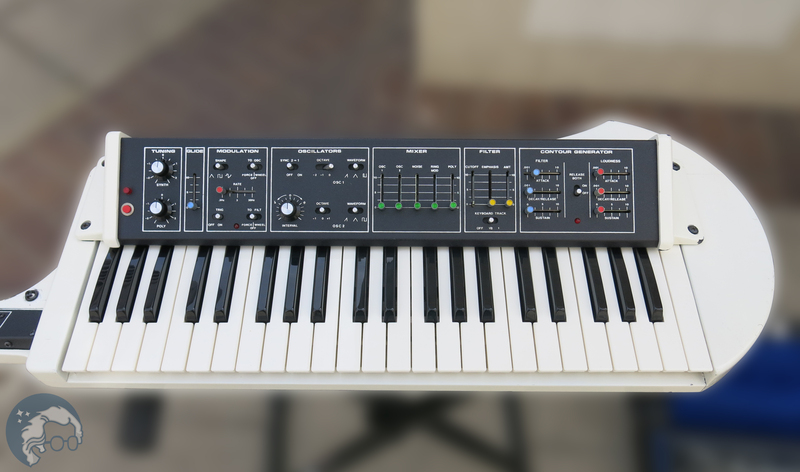 The Liberation raffle follows the Foundations fall 2014 raffle of a vintage Minimoog Model D, won by Danny Hagan of Statesboro, Georgia. Funds raised from the Foundations raffles support our educational project, Dr. Bobs SoundSchool; and our Archive Preservation Initiative. Hi! I heard that moog foundation will announce the winner of moog laberation by 24 april , but i couldnt find any regarding of the information ? Looking forward for your reply , thanks! Announcing Spring 2019 Raffle for Vintage Minimoog Synthesizer Signed by Stevie Wonder!! Dr. Bob’s SoundSchool Summer Camps 2018: Inspiring Kids through Sound, Music, and the Moog Legacy! Use Giving Assistant to save money and support Bob Moog Memorial Foundation for Electronic Music Inc. Earn cash back and support Bob Moog Memorial Foundation for Electronic Music Inc. free with Giving Assistant when you shop at popular stores like Staples (5%).